Roses have traditionally been used since the beginning of time on special events and occasions as a personalized gift to convey love, romance and desire. Express love and passion with a perfect red rose bouquets or delicate rose arrangements. Perfect for anniversaries, romance, love, Valentine's and birthdays. Trust us for the perfect gift, and as always, we offer flower delivery on the same-day. Taking time to select a thoughtful red rose bouquet or rose arrangement will show them your love. Order online, and we'll deliver same-day. Let us help you personalize your gift with standard and premium greeting cards full of love! 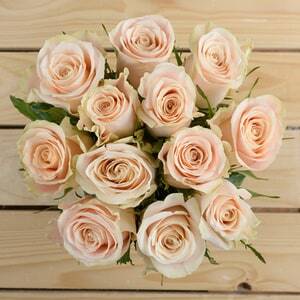 Rose bouquets show love, affection, and passion. Each petal in a red rose represents a deep, intense feeling of love. Darker red roses mean unrelenting passion, while lighter roses most mean the powerful phrase, “I Love You”. Depending on your relationship, let 800flower.ae help conveys what you really feel. Roses are the safe bet! How to Pick Roses for Any Occasion! Roses are the most gifted flower, and that's because they are the most desired by women everywhere. A Yellow Rose signifies friendship and would make an excellent gift for your dear friend or to say "Thank You". Remember, sending flowers and gifts from 800flower.ae is easy, fast, and secure. We have hundreds of flowers online and do trust, private online deliveries in Dubai, Abu Dhabi, and across the UAE 7 days a week. We deliver to any home, business, hotels, hospitals and even restaurants.